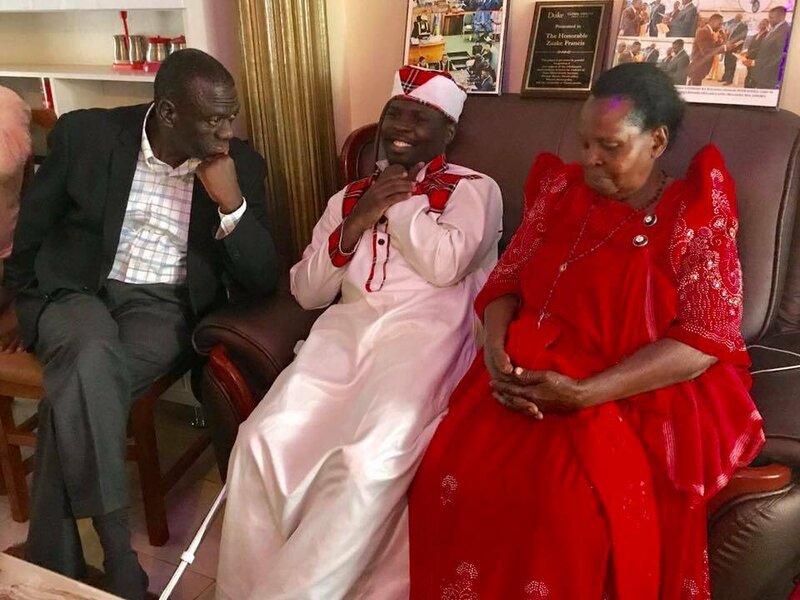 MITYANA– Former Forum for Democratic Change (FDC) and presidential candidate Dr. Kiiza Besigye on Friday visited Mityana Municipality Member of Parliament Francis Zaake at his home a day after he returned from specialized treatment abroad. Besigye said Mr Zaake has remained very strong and defiant in spite of the repeated brutal attack and torture by the National Resistance Movement (NRM) government. “I am very glad to see Hon Francis Zaake in high spirits shortly after another painful violation of his rights and freedom on return from treatment abroad,” readsBesigye’s tweet. “The fight for our constitution, our country and our future is on! We shall win by defiance! Do whatever you can, wherever you are,” Besigye added. Zaake, who has been in India for over a month, returned to the country on Thursday morning, but police did not allow him to get off the plane. The police immediately picked him to a waiting police van and drove off to Mityana, leaving his wife Bridget Namirembe stranded and bewildered. The police later dropped him in Mityana at his home. But his lawyer Asuman Basalirwa described the move as illegal and a denial of the MP’s freedom of movement. “Mr Zaake reached the airport when it was approaching 7 am in the morning but they didn’t allow him to get off the plane and took him off. We had planned to take him to Mityana for prayers,” he said. Ms Namirembe later told journalists how she was humiliated by police. “When I tried to get off the plane and follow, I was told by airport authorities that I would be arrested and I was informed our luggage was also taken,” she said.